This is pretty similar to the red cabbage that you get in the kebab shops all over the UK (and possibly the rest of the world but I don’t know). I like it with grilled meats and falafel wrapped in a pitta. 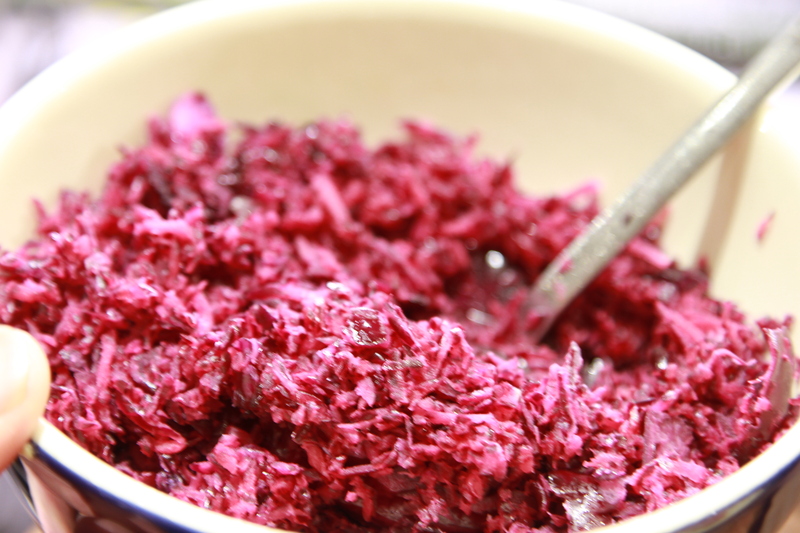 Sprinkle the salt over the shredded cabbage and leave it in a colander set over a bowl or in the sink. After about 15-20 mins, squeeze the cabbage very hard and let the salty juices run out. Repeat a few times. Place in a bowl and add the lemon juice and a tablespoon of olive oil and mix well.